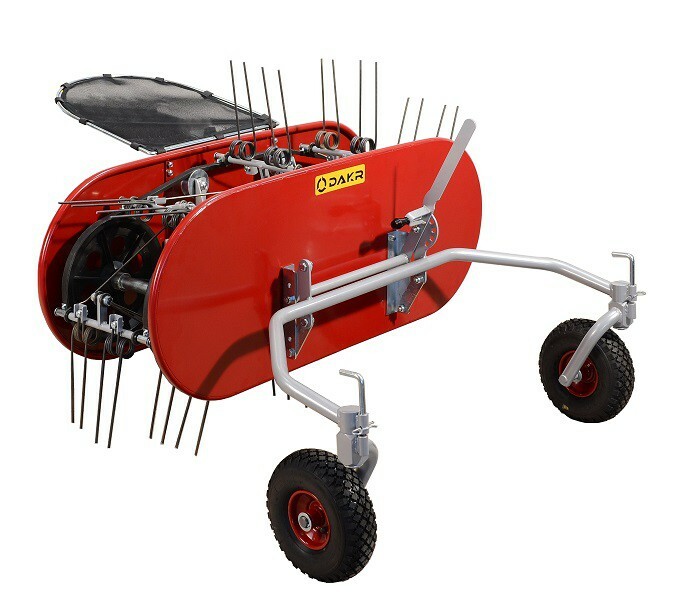 The turner - raker is intended for tedding and raking the grass and hay. 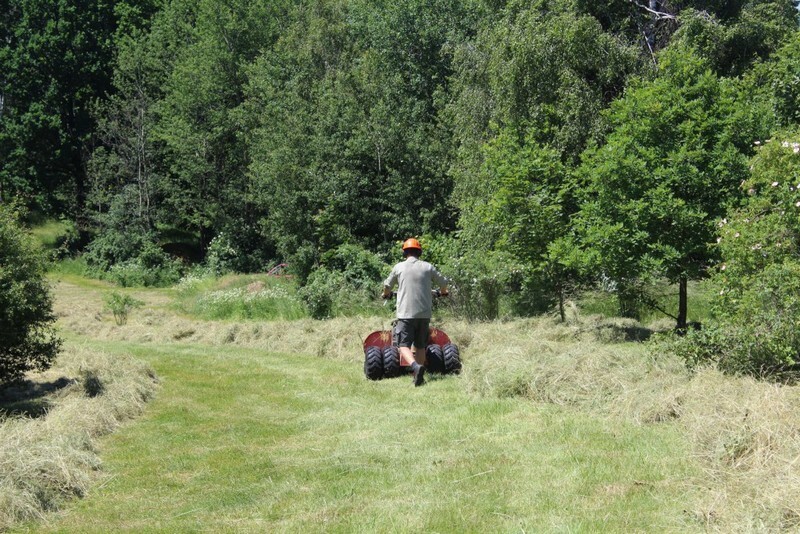 The machine is designed for hay turning and raking. 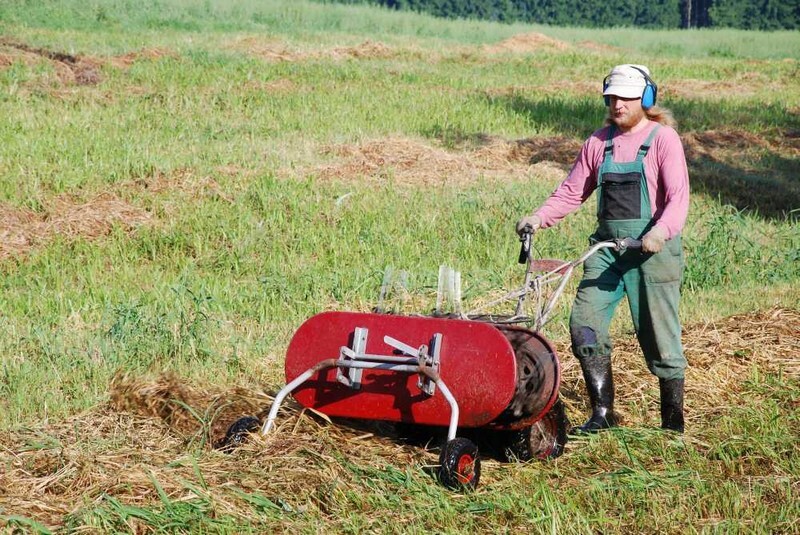 It is capable to rake the hay from 2 weeks tall grass. 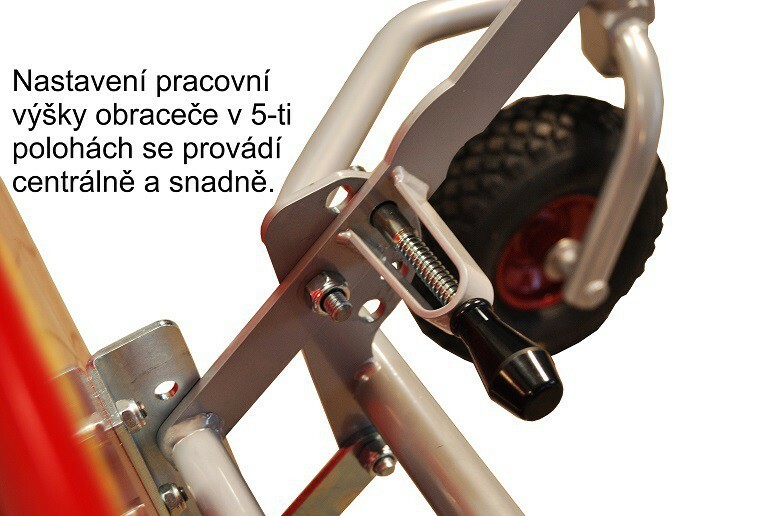 The rotatable axle makes the machine turning easy but in case of need it is possible to lock the wheel for straight direction so it crosses demanding terrain better. 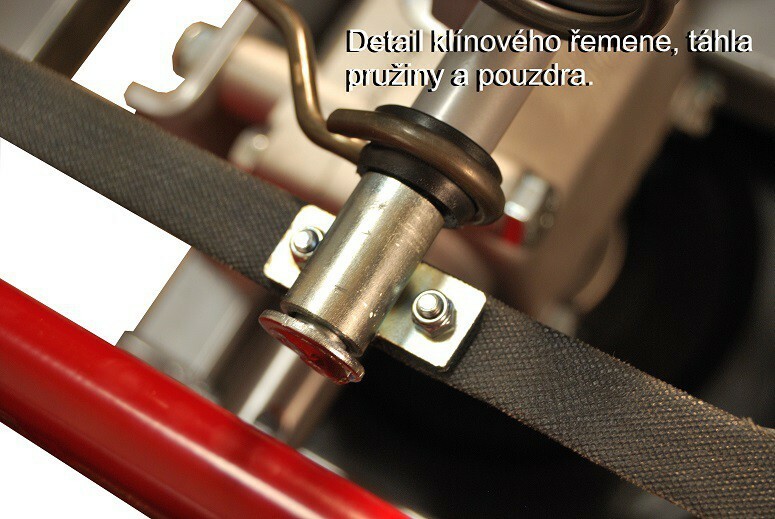 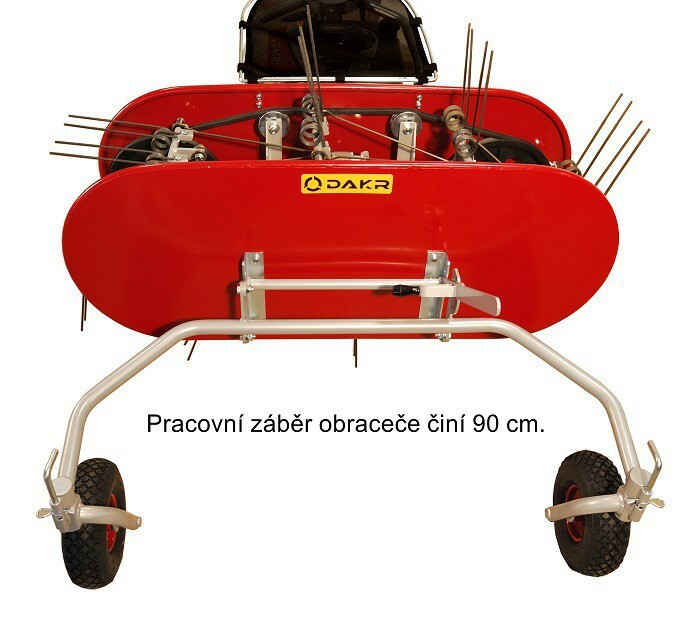 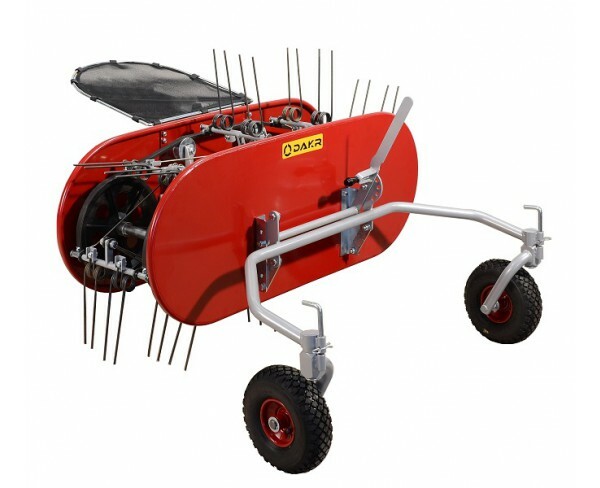 Not to shake out of grass seeds we recommend to gear the slower travel speed with minimum engine´s revolutions.